This is a sample of a book that's in process -- I hope to have it out next year. 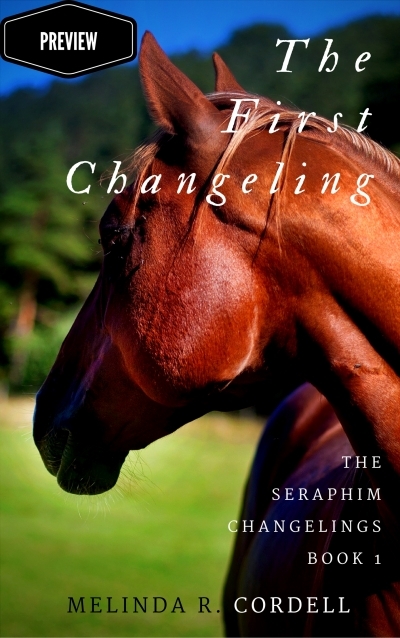 Companion volume to The Seraphim Changelings. Gabe Erskine has a normal small-town life in Seraphim, with good parents and a grandpa that he thinks the world of. But when he wakes up as a horse, unable to communicate with his parents or grandpa, with no explanation as to what happened, that world is gone in a flash. Now Gabe is out to try to find a way to communicate -- especially when other kids vanish, leaving animals in their place. And he's fighting to find out why this is happening, while bringing together other threatened Changelings.